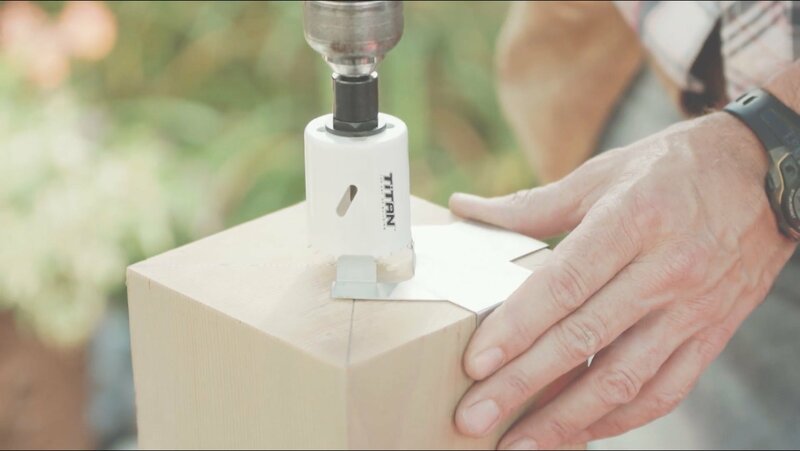 Want to connect paired posts inside the rim joist of a 45 degree corner? This is a more advanced construction technique used by skilled carpenters. This is tricky corner rail post detail to frame properly. Setting a pair of posts close together on the inside of the rim joist at this kind of corner will require your patience and attention to detail. Here is a typical framing scenario for twin corner rail posts at a 45 degree corner. Take note of the blocking and the hardware you will need. There are four custom cut blocking pieces and two very long threaded rods. 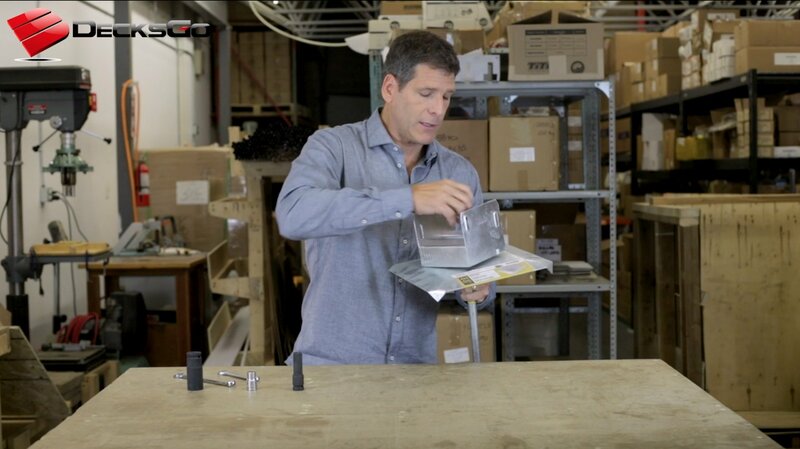 You will need a long ½" drill bit and a steady hand to make the holes accurately. 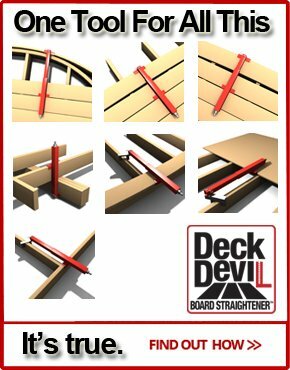 This makes for a rigid and reliable set of 45 degree corner rail posts set inside the perimeter joist. 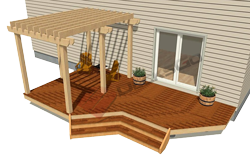 This way of installing rail posts at corner locations can be well beyond the ability or desire of most people to install all this hardware, or notch the decking boards around each post. It's pretty complicated and requires a lot of labor and materials so it gets expensive in a hurry. 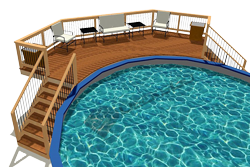 But it's also challenging to try to notch the decking around the two posts. 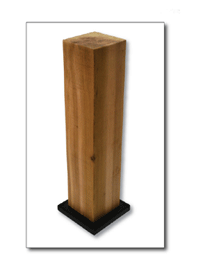 Other people are concerned about the vulnerability of the wood posts to moisture damage over the years because of direct wood on wood contact. 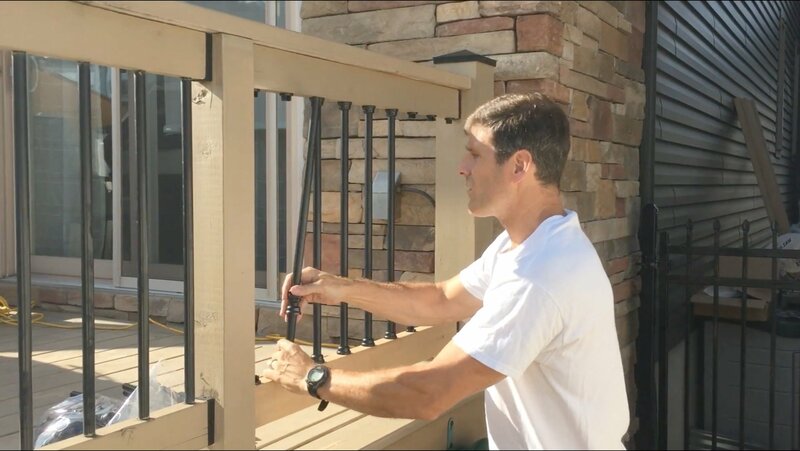 But there are simpler ways to install a strong long lasting alternative to a set of 45 degree outside corner rail posts that will also give you a high quality and beautiful looking railing. 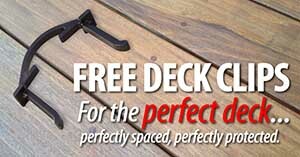 Take for example this low profile internal wood railing post anchor shown here. 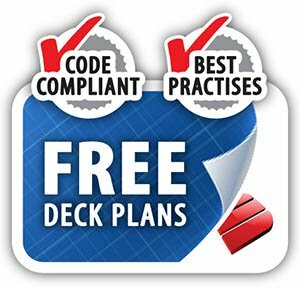 It's less than twenty bucks and can be used in code compliant residential deck rail construction when installed according to the manufacuturer's engineering guidelines. 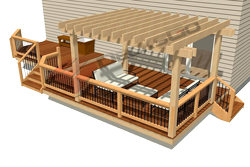 This is a potential solution for new wood deck construction, replacing rotted railing posts, or as support posts for pergolas, gazebos, decks, etc. 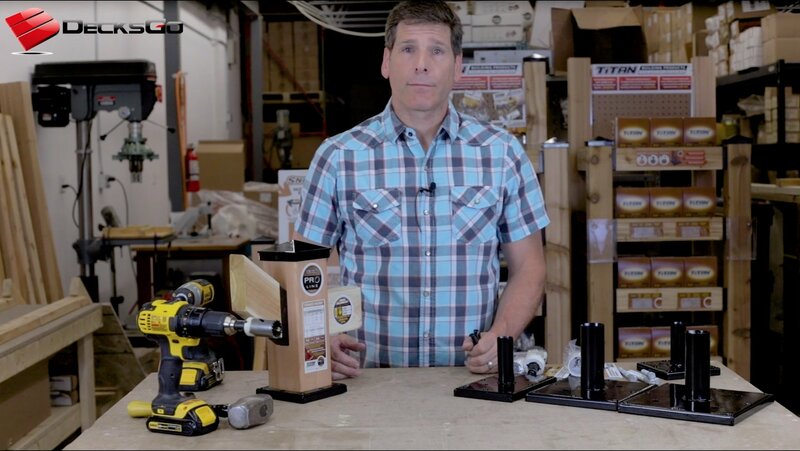 Then watch this video of a surface mount wood post anchor that has been tested for use with wood deck railings and costs less than $20 with all the hardware you will ever need and it covers all the possible situations described above. 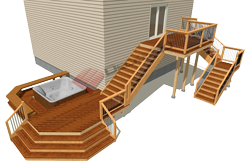 A thorough explanation of building traditional wood railing for decks and alternative solutions for great looking deck railing. 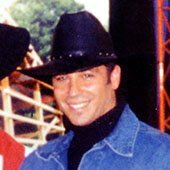 You decide which is right for your specific project. 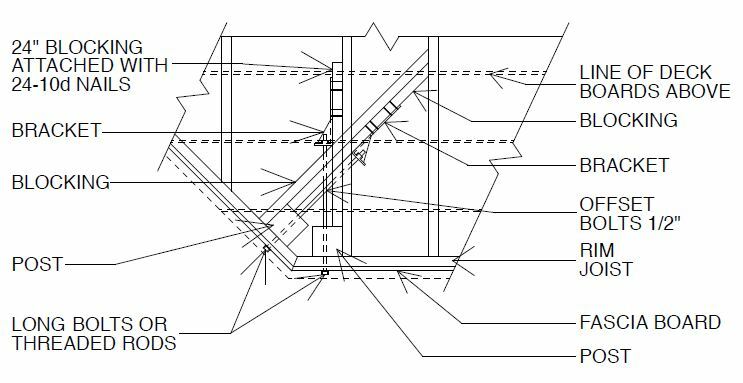 Find out more about this innovative post anchoring solution.